Alcohol urban environment has been associated with individual alcohol behaviors. We are constantly exposed to a wide variety of alcohol products, its marketing and promotion and signs of alcohol consumption that may influence alcohol-drinking behaviors. In this photo-essay, we include photographs that visually explain the exposure to alcohol in the urban streetscape of Madrid. These photographs show the pervasiveness of alcohol products in this city, which can be found everywhere at any time. El entorno urbano del alcohol se ha asociado a su consumo individual. 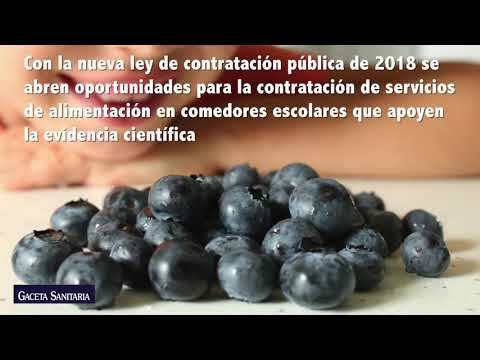 Estamos constantemente expuestos a una amplia variedad de productos con contenido de alcohol, su promoción y signos de consumo, que pueden influir en la normalización del mismo. En este ensayo fotográfico se incluyen imágenes que explican visualmente la exposición al alcohol en el paisaje urbano de Madrid. Estas fotografías muestran la omnipresencia de los productos con contenido de alcohol en esta ciudad, que se puede encontrar en todas partes y en cualquier momento. We propose a conceptual framework to help understand the ways in which alcohol urban environment relates to alcohol drinking behaviors8 (see online Appendix). The framework emphasizes that availability and accessibility of alcohol, promotion of alcohol, and signs of alcohol consumption would be associated with alcohol drinking behaviors. In this photo-essay, we capture these three domains and show how ubiquitous and normal alcohol is in our urban life (Figs. 1 and 2). Availability and promotion associated to alcohol retail outlets. A) Availability of alcohol at relatively low prices in convenience stores is common, including in central areas and places popular with tourists such as the Plaza Mayor in Madrid. B) The alcohol industry circumvent existing regulations to promote its products using visible windows in the alcohol retail outlets. Promotion and signs of alcohol consumption in public spaces, beyond the alcohol retail outlets. A) Although advertising of spirits is prohibited in parts of Spain on public roads, advertisement and sponsorship are frequently used on public spaces. This promotional item covers a whole building and can be perceived from afar. B) The high visibility of alcohol use in the street in terms of people consuming alcohol, the presence of discarded bottles or other containers in the public space indicates the acceptability of alcohol, and suggests poor enforcement of existing alcohol related regulations. The photographs included in this photo-essay examine how alcohol has become entrenched in the urban streetscape of Madrid. We consider the presence of alcohol in different neighborhoods across the city including areas with a large tourist population and dependence on the night time economy. Photographs were taken during different times of the day and days of the week. The photographs depict the presence of alcohol related items within alcohol outlets (Fig. 1) or other public spaces (Fig. 2), including the sides of streets, public squares, playgrounds, parks, and any other open and green spaces. These photographs show the pervasiveness of alcohol products in a city like Madrid, which can be found everywhere at any time, and point to directions to follow for public policies oriented to preventing the harm done by alcohol. More photographs and its description can be found in the online Appendix. This collection of photographs emphasizes the importance of raising awareness about the normalization and social acceptability of alcohol in our cities. Future studies conducted in different cities across the globe will help understand how the alcohol environment may affect the normalization and harmful use of alcohol. This work will be important in identifying new opportunities for environmental interventions designed to restrict the promotion and supply of alcohol products in our communities, and help to reduce alcohol-related harm in our cities. All the authors contributed substantially in the design, execution of this work, and to the interpretation of results. V. Carreño took the photographs. X. Sureda drafted the manuscript, which was critically revised by all authors, who also approved the final version. Global status report on alcohol and health 2014..
M. Bosque-Prous, A. Espelt, A.M. Guitart, et al. Association between stricter alcohol advertising regulations and lower hazardous drinking across European countries. A. Bryden, B. Roberts, M. Petticrew, et al. A systematic review of the influence of community level social factors on alcohol use. M. Kuo, H. Wechsler, P. Greenberg, et al. The marketing of alcohol to college students: the role of low prices and special promotions. S. Popova, N. Giesbrecht, D. Bekmuradov, et al. Hours and days of sale and density of alcohol outlets: impacts on alcohol consumption and damage: a systematic review. The effect of alcohol advertising, marketing and portrayal on drinking behaviour in young people: systematic review of prospective cohort studies. X. Sureda, J.R. Villalbí, A. Espelt, et al. Living under the influence: normalisation of alcohol consumption in our cities. A. Murphy, B. Roberts, G.B. Ploubidis, et al. Using multi-level data to estimate the effect of an ‘alcogenic’ environment on hazardous alcohol consumption in the former Soviet Union. V. Carreño, M. Franco, P. Gullón. Studying city life, improving population health.